Twenty-five years ago, the Blackhawk Chorus, under the guidance of Diane Gilfether, was born when 12 women gathered in Diane's living room to learn how to sing and to have fun learning music. The next year, the group was open to men, and through the years, the chorus grew to around 135 singers. The chorus sang arrangements of popular songs, and musical medleys and in 2003, 2005, 2007 and 2015, the Blackhawk Chorus took its program to international audiences in Salzburg, Vienna & the Czech Republic (2003), Italy (2005), London, Wales & Scotland (2005) and Spain (2015). 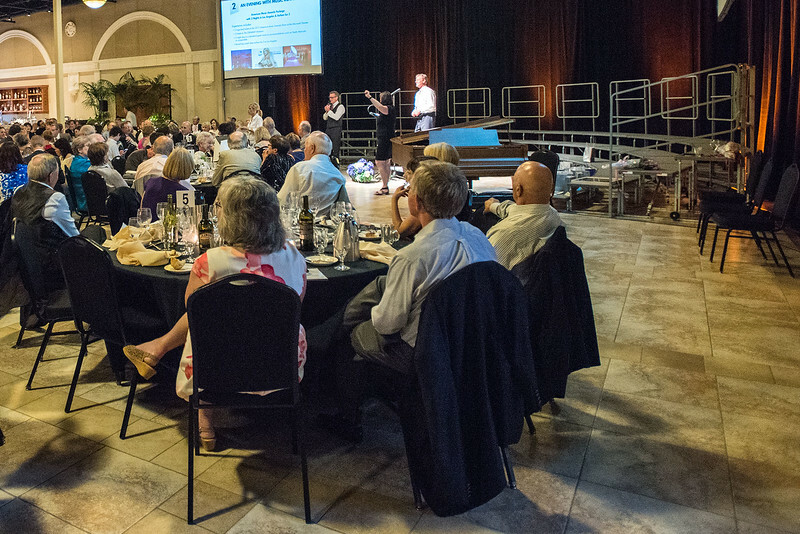 The 25th Anniversary Gala and Concert took place at the Ruby Hill Winery's Casa Real Event Center in Pleasanton. The program, entitled "Unforgettable", created from Diane's favorite selections of the past twenty-five glorious years of musical excellence. But more than just a family of singers, the Chorus's generosity and fundraising endeavors over the past four years has raised over $82,500 to choral programs in the San Ramon Valley schools. The Blackhawk Chorus Music Education Fund was created to honor the memory of long-time chorus and Special Blend member, Debbie Frey, who lost her 15 year cancer battle in 2011. This is what makes the chorus such a special one - not just for making beautiful music, and being a family of singers and musicians, but for the steadfast effort to ensure that public schools have the funding necessary to foster yet another generation of musical talent. Who knows, those kids may be the next opera or pop star, or even be the next director of the San Francisco Symphony Chorus! I'm very proud to have been a part of this talented and devoted community of wonderful people for almost 10 years, and look forward to the next 25 years of their music and service to the community.